The life of this petite woman from North Korea has Hollywood potential: at age 7, she witnessed her first execution, at 17, she fled one of the countries with the toughest living conditions in the world: North Korea. Recent events make her story one of topical interest. When at first she steps on stage, she seems fragile and a bit delicate, with her petite figure and dainty face. But when she begins to speak, it becomes clear: this woman is tough. Hyeonseo Lee fled North Korea as a teenager. Today, she steps up for a better world. "The situation in North Korea is getting worse," she states. Although hundreds of thousands of people no longer suffer famine like in the nineties, life has, and will continue to get, harder in general. Young dictator Kim Jong-Un reigns even harsher than his father. "North Koreans have been living under a dictatorship for 73 years now, are victims of brainwashing, don’t know what’s going on in the world. If someone tells them about life and freedom outside of North Korea, they would call him crazy. They are modern slaves." North Korea today is basically politically isolated. The country’s "supreme leader", Kim Jong-Un, provokes intentionally with atomic testing and statements that leave the rest of the world shuddering. Domestically, the country has one of the most restrictive systems worldwide. Currently, the UNO has increased sanctions against North Korea. The most recent ones have been a hard blow for North Korea, especially the resource trade with China has suffered. The import of gasoline from the neighboring country has almost come to a standstill. We can only imagine the difficulties the people are currently facing. Famine, escape and the mission to help others. Hyeonseo Lee knows what life is like in North Korea. In her speeches, she talks about the unimaginable horrors of her childhood. Among other things, she survived the great famines of 1993 and 1998, in which about 3 Million people died. To taste freedom just once, Hyeonseo Lee sneaked across the border to China as a teenager, only to find the way back barred to her. For eleven years, she lived as an illegal immigrant in China, finally coming to live with distant relatives. At first, out of fear for the consequences, she didn’t speak much about her escape. She was terrified of being found out; deportation back to North Korea would have been a nightmare. Hyeonseo Lee’s TED Talk: 13 Million Followers. Hyeonseo Lee always stresses the fact of how many refugees from North Korea are still deported back from China, and the horrendous penalty they endure, courtesy of Kim Jong-Un. 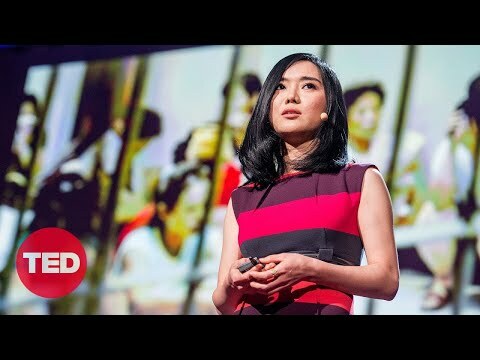 Over 13 Million people have watched Hyeonseo Lee’s TED Talk, in which she speaks about her life in North Korea, her exodus to China, and her continued struggle to bring her family to safety. Hyeonseo Lee spoke to a special council of the UN Security Council about human rights in North Korea and the difficulties with certain persons like the UN Ambassador Samantha Powers. Recently, she completed her basic studies in English and Chinese at the University for Foreign Languages Hankuk in Seoul and was Young Leader at the Center for Strategic and International Studies in Washington D.C. The Dream: Working for the UN. Her dream is to someday work for the UN or a non-political organization, to stand up for human rights and strengthen the rights of North Koreans and political refugees. She’s definitely on a good way. She already moves people today; those listening to her speeches about politics, globalization, cross culture and leadership. Hyeonseo Lee touche, jolts awake, and connects peoples and cultures. Good luck replicating that.